[Here’s another letter I published on AfricanCrisis. 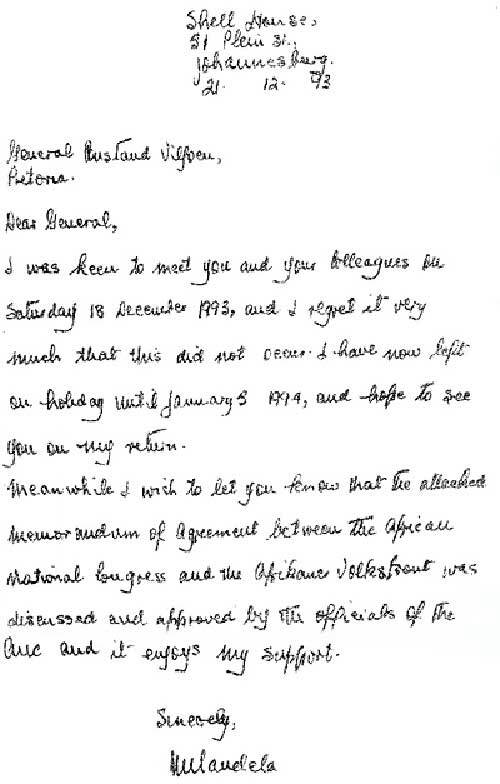 This is hand written letter by Nelson Mandela to General Constant Viljoen in 1993. Constand Viljoen is an important character. In 1994, some whites were preparing for a race war. 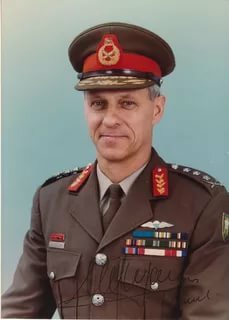 Constand Viljoen was the most famous of our generals and many white men were prepared to go to war on his orders. 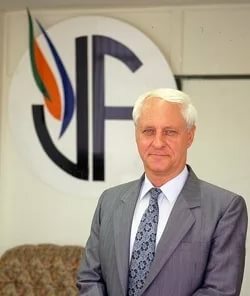 But at the last moment Viljoen pulled out and formed the political party the VF, the Freedom Front (Afrikaans: Vryheid’s Front). I checked and the signature of Nelson Mandela is genuine. Also the address this letter is from is Shell house. Shell house used to belong to the international oil company Shell! And the ANC (African National Congress) got hold of it. So that address is valid. Interestingly on AfricanCrisis I had some creepy run ins with the “ANC Intelligence Department” which was located at Shell house. That is a story I still want to tell. Former State President PW Botha told me that he thought Viljoen made a mistake in creating the VF. He had given him different advice. Viljoen walked out of parliament seething after wasting 7 years of his time in the South African parliament. Nelson Mandela had lied to him and strung him along and wasted his time. This is what white people everywhere must be aware of … that the Jews and blacks know the games of how to waste your time and misdirect you. So Mandela basically strung him along and lied to him and it worked. ← Video: China: the next Jewish Super-Power & Why Germans must be EXTREMELY PROUD of WW2, Hitler & NAZIs! Jews & Liberals say: Race is not real? What about organ transplants & diseases?